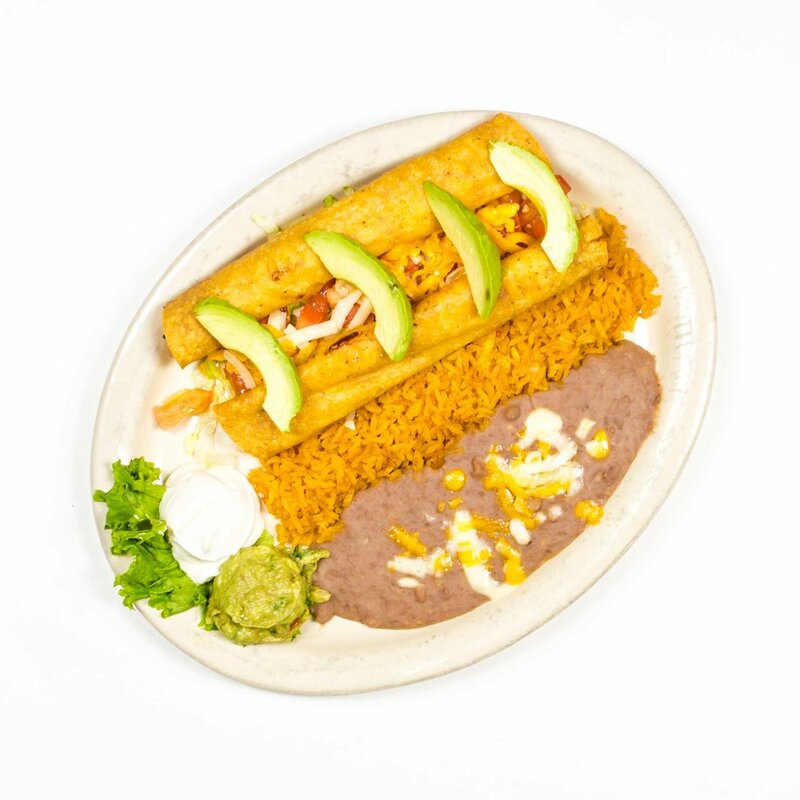 1 flour tortilla filled w/beef & fried beans covered w/chili meat or chicken with rice, topped shredded cheese. consuming raw or undercooked meats, poultry, seafood, shellfish, or eggs may increase your risk of foodborne illness, especially if you have a certain medical condition. Many of our dishes contain one or more the 8 major food allergens (eggs, milk, wheat, soybeans, fish, shellfish, peanuts, treenuts). If you are allergic to one or more of these allergens, please ask your server for more information.